With the Hundranian armchair, Jonas has taken inspiration from the chairs of the 1910s and 1920s, and developed a modern café chair. It offers an idiomatic simplicity that makes the chair ideal in environments where a large number of seats are required, and where demands are placed on both form and function. 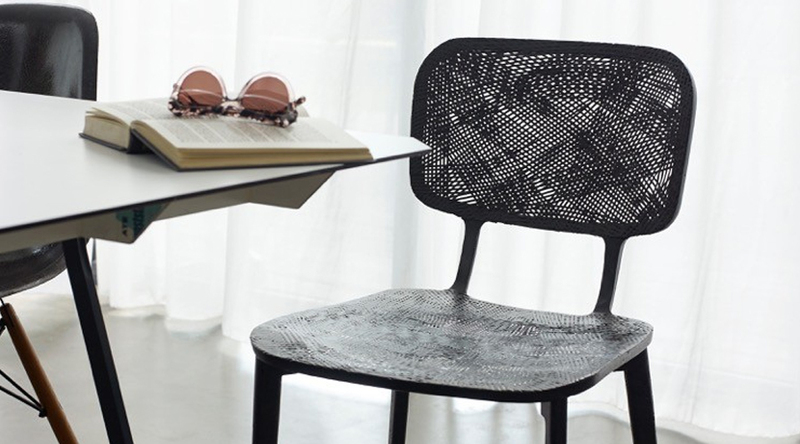 The Hundranian is stackable (6 chairs) and highly stable, thanks to its aluminium frame underneath the seat. It is also very comfortable, due to the generous and embracing backrest. The choice of finish and colour determines the chair's final expression.The aluminium frame will be lacquered in the same colour as the chair. Choose between upholstered seat, wooden back or upholstered back.